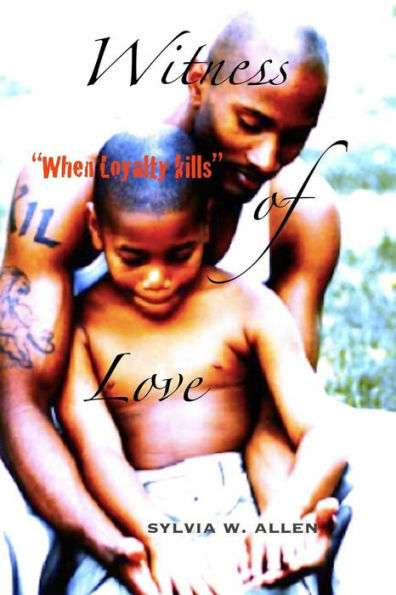 *Witness Of Love: “When Loyalty Kills” (Paperback) (African American Fiction Deal of the Day, Sponsor, Family Drama, Urban Contemporary Fiction) by Ms. Sylvia W. Allen. Price: $35.00. Genre: African American Fiction Deal of the Day, Sponsor, Family Drama, Urban Contemporary Fiction. Rated 4.8 stars on 10 review. 303 pages. ASIN: B07NXQX2KB. 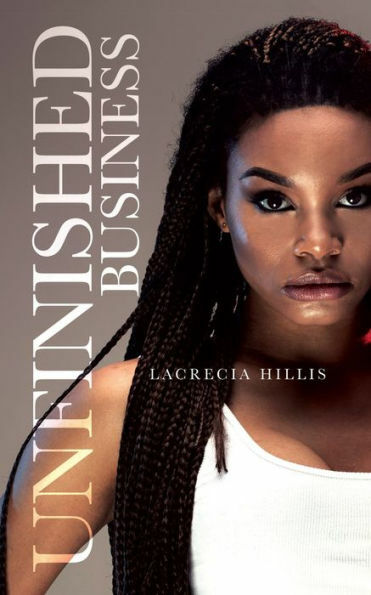 *Unfinished Business (African American Fiction Deal of the Day, Sponsor, She’s tired of seeing her mom controlled, Life’s wearing down on her mom) by Lacrecia Hillis. Price: $2.99. Genre: African American Fiction Deal of the Day, Sponsor, She’s tired of seeing her mom controlled, Life’s wearing down on her mom. Rated: 5 stars on 1 Reviews. 23 pages. ASIN: B07QB9M78M. *Kenyan Heat (Shifter Romance of the Day, Sponsor, Romance, He’s an orphan who has never met his kind, She’s an independent werelioness, a loner who’s never needed anyone) by A. B. Robinette. Price: $0. Genre: Shifter Romance of the Day, Sponsor, Romance, He’s an orphan who has never met his kind, She’s an independent werelioness, a loner who’s never needed anyone. Rated: 5 stars on 1 Reviews. 159 pages. ASIN: B07H4487XJ. *The McCabe Brothers: The Complete Collection (Steamy Romance Box Set 5 Book Box Set Deal of the Day, Sponsor, NY Times Bestselling Author, If you like your heroes with a dark side, you will not be disappointed with The McCabe Brothers, a spinoff of the big family romance series) by Lorhainne Eckhart. Price: $0.99. Genre: Steamy Romance Box Set 5 Book Box Set Deal of the Day, Sponsor, NY Times Bestselling Author, If you like your heroes with a dark side, you will not be disappointed with The McCabe Brothers, a spinoff of the big family romance series. Rated: 4.8 stars on 18 Reviews. 829 pages. ASIN: B07257SBV4. *If She Were Blind (The After Twelve Series Book 1) (Steamy Romantic Suspense of the Day, Sponsor, Revenge and Justice, Perfect for Fans of Veronica Mars) by Laney Wylde. Price: $0. Genre: Steamy Romantic Suspense of the Day, Sponsor, Revenge and Justice, Perfect for Fans of Veronica Mars. Rated: 4.6 stars on 34 Reviews. 173 pages. Paperback version! ASIN: B07FY82KDJ. *Chosen (Demon Hunter, #1) (Supernatural Thriller Deal of the Day, Sponsor, His friend is still trapped in a rotting house and needs to be freed) by Adam Dark, Matthew Thrush. Price: $0.99. Genre: Supernatural Thriller Deal of the Day, Sponsor, His friend is still trapped in a rotting house and needs to be freed. Rated: 4 stars on 1 Reviews. 247 pages. ASIN: B07MS5NDW2. *Darkness in Malaga (Mystery Deal of the Day, Sponsor, Kidnapping, New lives brings fresh nightmares, Set in Spain, Recommended by Kirkus Reviews) by Paul S Bradley. Price: $4.99. Genre: Mystery Deal of the Day, Sponsor, Kidnapping, New lives brings fresh nightmares, Set in Spain, Recommended by Kirkus Reviews. Rated: 5 stars on 2 Reviews. 324 pages. Paperback version! ASIN: B07932Y6M4. *The Unholy: A Novel (Supernatural Horror Deal of the Day, Sponsor, A Journey of Self Discovery) by Paul DeBlassie III. Price: $4.99. Genre: Supernatural Horror Deal of the Day, Sponsor, A Journey of Self Discovery. Rated: 4 stars on 88 Reviews. 299 pages. ASIN: B07BL2JQSB. *Wild Hearts: The Coming Night (Science Fiction Adventure Deal of the Day, Sponsor, Alien Wraiths versus Dragon Knights in Power Suits, Earth lies in the Balance) by Andrew Wichland. Price: $2.99. Genre: Science Fiction Adventure Deal of the Day, Sponsor, Alien Wraiths versus Dragon Knights in Power Suits, Earth lies in the Balance. Rated 4.5 stars on 6 review. 145 pages. Paperback version! ASIN: B07F43CY3F. *Shadow Life (Science Fiction Deal of the Day, Sponsor, High-octane adventure set in a deeply layered near-future world of complex political arrangements and fascinating new technologies) by Jason Mather. Price: $1.99. Genre: Science Fiction Deal of the Day, Sponsor, High-octane adventure set in a deeply layered near-future world of complex political arrangements and fascinating new technologies. Rated: 4.5 stars on 21 Reviews. 306 pages. Paperback version! ASIN: B077BWJ3RS. *Elji and the Galrass (Science Fiction Deal of the Day, Sponsor, Elji discovers a tool that can only be wielded by those who understands its power) by Colin Sinclair. Price: $3.99. Genre: Science Fiction Deal of the Day, Sponsor, Elji discovers a tool that can only be wielded by those who understands its power. Rated 4 stars on 2 review. 197 pages. Paperback version! ASIN: B07DZJ6LRZ. *Smiling Ghosts (Science Fiction Deal of the Day, Sponsor, Fantastical characters with personality and wit, you can’t help but like them even if they are being monsters) by Bridgette Ehly. Price: $0.99. Genre: Science Fiction Deal of the Day, Sponsor, Fantastical characters with personality and wit, you can’t help but like them even if they are being monsters. Rated: 5 stars on 6 Reviews. 365 pages. ASIN: B07HNFKV7S. *The Seer, Chapters 1-9 (The Other Side of Red, #1) (Fantasy of the Day, Sponsor, Mythical beings, spirits and shadows, creature, legends) by A. R. Curtis. Price: $0. Genre: Fantasy of the Day, Sponsor, Mythical beings, spirits and shadows, creature, legends. Rated: 4.5 stars on 5 Reviews. 411 pages. ASIN: B07KFRDF91. *Another Day, Book 1 (Delta Flight) (Military Science Fiction Adventure Deal of the Day, Sponsor, Alien Invasion, Earth’s Final Sunset, As Nukes and Aliens Fly, Can Master Sergeant McCarty save Earth) by Terry A Perrine, Brian Paone. Price: $3.99. Genre: Military Science Fiction Adventure Deal of the Day, Sponsor, Alien Invasion, Earth’s Final Sunset, As Nukes and Aliens Fly, Can Master Sergeant McCarty save Earth. Rated: 5 stars on 1 Reviews. 211 pages. Paperback version! ASIN: B07PJ57S19. ***The Wild Hunt (Faerie Sworn, #1) (Fantasy of the Day, Sponsor) by Ron C. Nieto. Price: $0. Genre: Fantasy of the Day, Sponsor. Rated: 4.4 stars on 141 Reviews. 308 pages. ASIN: B00KO76LC0. *Forgotten By the Sun (Fantasy for All Ages Deal of the Day, Sponsor, Stories once believed to be myths become reality, An ordinary teenage girl faces a critical choice) by Celeste Eismann. Price: $0.99. Genre: Fantasy for All Ages Deal of the Day, Sponsor, Stories once believed to be myths become reality, An ordinary teenage girl faces a critical choice. Rated: 4 stars on 5 Reviews. ASIN: B07MZ5VSDK. *Lumen and the Thistle (Fantasy of the Day, Sponsor, A Man who can see Panels of Light, He embarks on a journey that takes him to the land of Water and Fire and Earth and Air, Is it Real) by EJ Wozniak. Price: $0. Genre: Fantasy of the Day, Sponsor, A Man who can see Panels of Light, He embarks on a journey that takes him to the land of Water and Fire and Earth and Air, Is it Real. Rated: 4.9 stars on 19 Reviews. 249 pages. ASIN: B07LDHM4QL. ***Cold Lonely Courage: Novel war (ENC.ROMANS) (Historical Fiction Deal of the Day, Sponsor, Historical Adventure, World War II) by Soren Paul Petrek. Price: $7.49. Genre: Historical Fiction Deal of the Day, Sponsor, Historical Adventure, World War II. Rated: 4.4 stars on 326 Reviews. 364 pages. ASIN: B07MTML6CJ. *Pippin and the River of Wonders: A Voice for Wildlife (Children’s Book Deal of the Day, Sponsor, Pippin and her friends unite to protect the baby animals in the wetlands) by DVM Stacey Gerhart. Price: $4.49. Genre: Children’s Book Deal of the Day, Sponsor, Pippin and her friends unite to protect the baby animals in the wetlands. Rated 5 stars on 12 review. 103 pages. ASIN: B07NDLXWFH. *Jabulani (Childrens Picture Books by Age 6-8 Christian Child) (Children’s Books Deal of the Day, Sponsor, A Bedtime story that teaches important values and a great lesson) by Jonathan J Stotler, Beth Restrick. Price: $3.99. Genre: Children’s Books Deal of the Day, Sponsor, A Bedtime story that teaches important values and a great lesson. Rated: 4.8 stars on 10 Reviews. 32 pages. ASIN: B07965GC9N. *Hitherto & Thitherto (General Fiction Deal of the Day, Sponsor, She came to America to enjoy it at its height of power and grandeur, instead she is faced with an empire undergoing a slow demise) by OZAIR SIDDIQUI. Price: $9.00. Genre: General Fiction Deal of the Day, Sponsor, She came to America to enjoy it at its height of power and grandeur, instead she is faced with an empire undergoing a slow demise. Rated 5 stars on 1 review. 204 pages. ASIN: B073N9FNGB. *Live True: A Mindfulness Guide to Authenticity (Nonfiction Deal of the Day, Sponsor, Dangers of not living in total awareness, A book that raises awareness and consciousness of who we are and who we are not) by Ora Nadrich, PhD Ronald A. Alexander (Foreword by). Price: $17.95. 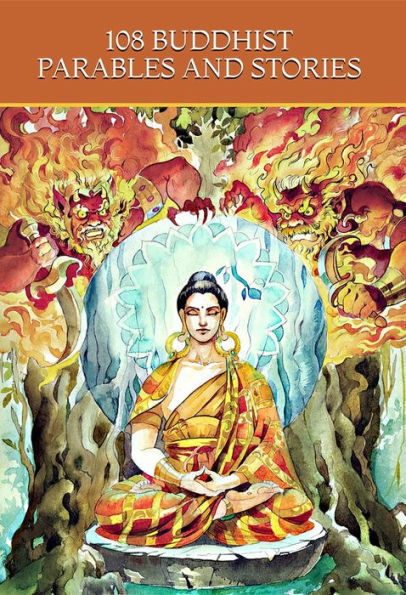 Genre: Nonfiction Deal of the Day, Sponsor, Dangers of not living in total awareness, A book that raises awareness and consciousness of who we are and who we are not. Rated 5 stars on 47 review. ISBN: 0578432102. *Nacer con estigma, vivir con alegría (Self Help Deal of the Day, Sponsor, Spanish Books, Non Fiction, Success, Live with Joy) by Bernardo García. Price: $15.99. Genre: Self Help Deal of the Day, Sponsor, Spanish Books, Non Fiction, Success, Live with Joy. Rated 5 stars on 1 review. 185 pages. ASIN: B07NF3V7Q6. *Emotional Dimensions of Healthcare (Nonfiction Deal of the Day, Sponsor, Healthcare, Our current approach to healthcare ignores the emotional component of our well-being, Written by the former Deputy Commissioner of the NYS Office of Mental Health) by David Woodlock. Price: $3.99. Genre: Nonfiction Deal of the Day, Sponsor, Healthcare, Our current approach to healthcare ignores the emotional component of our well-being, Written by the former Deputy Commissioner of the NYS Office of Mental Health. Rated 5 stars on 1 review. 254 pages. Paperback version! ASIN: B072397JM4. *Departure From Indifference: Probing the Framework of Reality (Non Fiction Deal of the Day, Sponsor, Very Deep Work on Better Understanding our Purpose and the Nature of Reality) by Octavio A. Melo. Price: $2.99. Genre: Non Fiction Deal of the Day, Sponsor, Very Deep Work on Better Understanding our Purpose and the Nature of Reality. Rated: 5 stars on 1 Reviews. 84 pages. ASIN: B07P6MQQNW. *I Was a Teenage JFK Conspiracy Freak (Non Fiction and History Deal of the Day, Sponsor, A book that debunks most JFK Conspiracy Theories) by Fred Litwin. Price: $2.99. Genre: Non Fiction and History Deal of the Day, Sponsor, A book that debunks most JFK Conspiracy Theories. Rated: 4 stars on 14 Reviews. 274 pages. ASIN: B07HBS6QY4. *Leadsology: Marketing The Invisible (Business Nonfiction Deal of the Day, Sponsor, How to stimulate a weekly flow of high-quality, inbound, new client inquiries) by Tom Poland. Price: $9.99. Genre: Business Nonfiction Deal of the Day, Sponsor, How to stimulate a weekly flow of high-quality, inbound, new client inquiries. Rated: 5 stars on 2 Reviews. 330 pages. ASIN: B07H4CQLW6. *The Soulful Leader: Success with Authenticity, Integrity and Empathy (Business Non Fiction Deal of the Day, Sponsor, How to Become an Authentic Leader that Leads with Integrity and Empathy) by Arthur P. Ciaramicoli. Price: $8.99. Genre: Business Non Fiction Deal of the Day, Sponsor, How to Become an Authentic Leader that Leads with Integrity and Empathy. Rated: 4 stars on 5 Reviews. 131 pages. ASIN: B07N8YG5J1.